Using various fabrics, acrylic paints and machine stitch you will create a contemporary free machine embroidered hanging for your wall. During the 2 day course you will explore a range of techniques to enable you to produce a finished piece that is personal and will reflect your own ideas. Day 1 – You will have a fun day experimenting with the possibilities of mixing media buy painting and printing on your fabrics ready to stitch together in your desired composition.Using various fabrics, acrylic paints and machine stitch you will create a contemporary free machine embroidered hanging for your wall. During the 2 day course you will explore a range of techniques to enable you to produce a finished piece that is personal and will reflect your own ideas. Day 2 – Priscilla will guide you through the process of creating an image from your painted and printed fabrics – drawing on her vast experience of combining colour, shape and texture. She will then demonstrate the joy of drawing with stitch to embellish your creations and share tips on how machine embroidery can add new surface qualities to your textile art! This is fantastic workshop for anyone who would like to explore a mixed media approach to stitched textiles and develop new ways of working. Some sewing experience would be an advantage but not necessary. Please bring your sewing machine with a free embroidery facility, plus a collection of fabrics you wish to work with. All other materials are provided in the course fee. 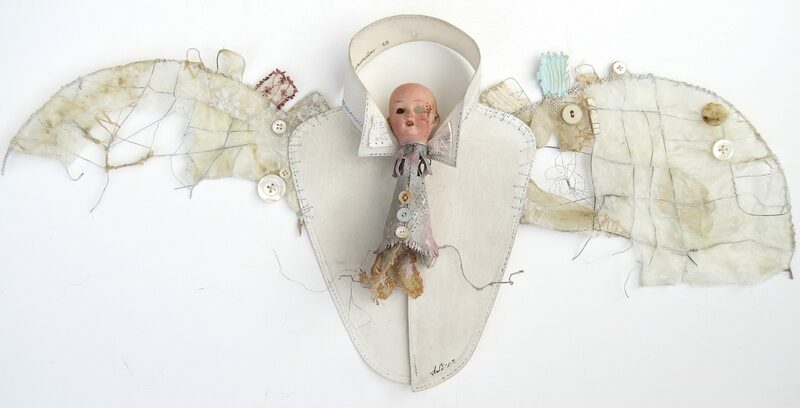 Priscilla has been creating contemporary stitched mixed media pieces in 2D and 3D since completing her degree in Embroidery at Manchester Metropolitan University in 1997. Priscilla draws her inspiration from a variety of sources exploring the concept of identity, memory and nostalgia. These themes underpin a range of areas within her work including freelance designs for greeting cards, fashion/interior fabrics and wallpaper exporting to Japan, Europe and the U.S.A. Priscilla is continuously exhibiting her work in exhibitions both nationally and internationally and is a freelance educator in Further/Higher Education and secondary schools. She also runs a programme of independant workshops and talks in galleries, museums and selected venues.